Home » Uncategorized » Vapouring? Luckily for both the bullets missed their mark and the matter was resolved without any rancour. 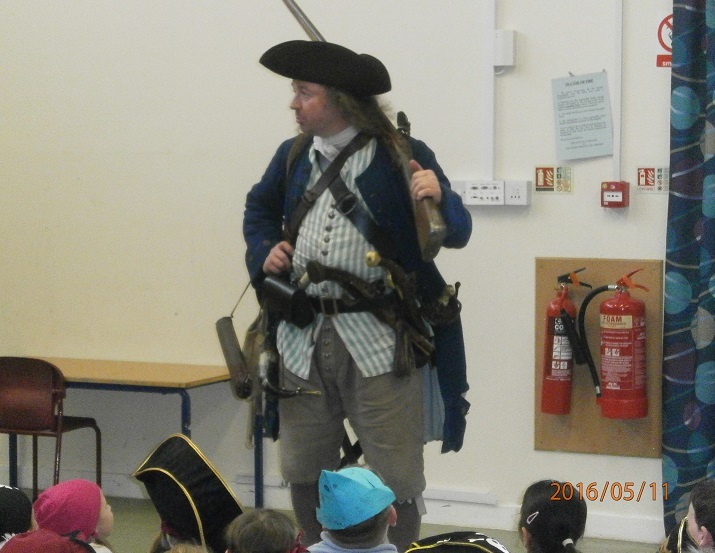 They parted friends and Captain Burwash went back to telling his tales of piratical deeds. The pictures come from a lovely day last week. 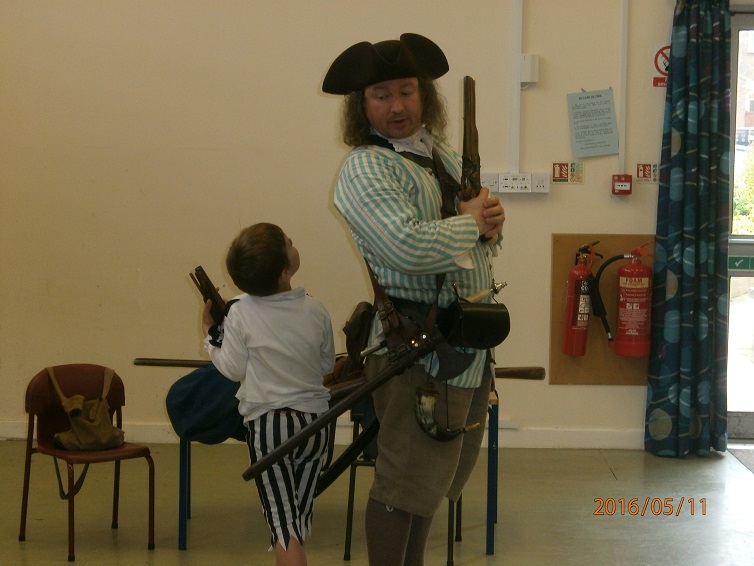 The children learned about all sorts of things, from pistols and cutlasses, to tricornes and cartouches, from Blackbeard and Anne Bonny to sloops and salmagundi. 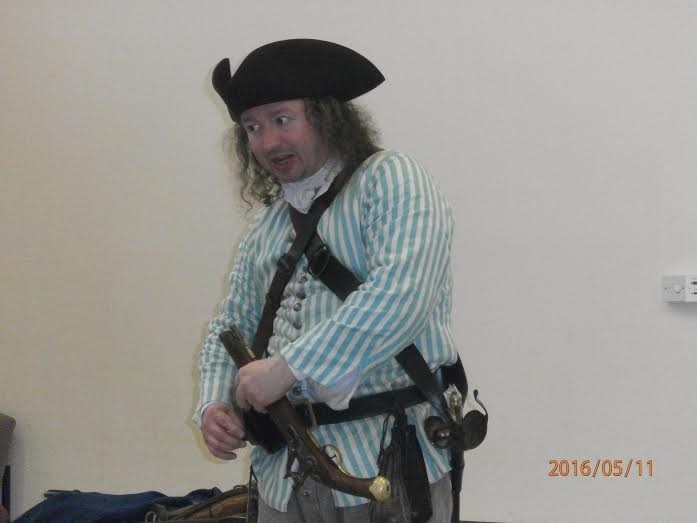 As for what ‘vapouring’ is – the captain could tell you!